Why modern enterprise management is the new business reality. Organisational silos are inadvertently being created, interfering with operational efficiencies, as individual business units incorporate tools and systems to meet their specific needs. The ability to conduct business any time and anywhere increases the need to satisfy your customers when they demand it. Paradoxically, if technology is complicating your business, it can also simplify it. 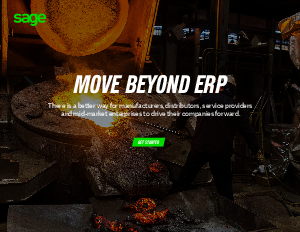 That’s why businesses of all types and sizes have recognised that traditional accounting software and legacy enterprise resource planning (ERP) solutions are no longer adequate to keep up in today’s business world—much less tomorrow’s. In fact, 49% of executives surveyed said they’re implementing new systems to replace their out-of-date ERP software.